Rice can be one of those tricky dishes to get right - the consistency is all important and there's different ways to cook different types of rice. For basmati you want light and fluffy, each grain perfectly separated. In sushi however you want a the rice to stick together nicely but not get overly sticky - getting it right every time can be difficult. 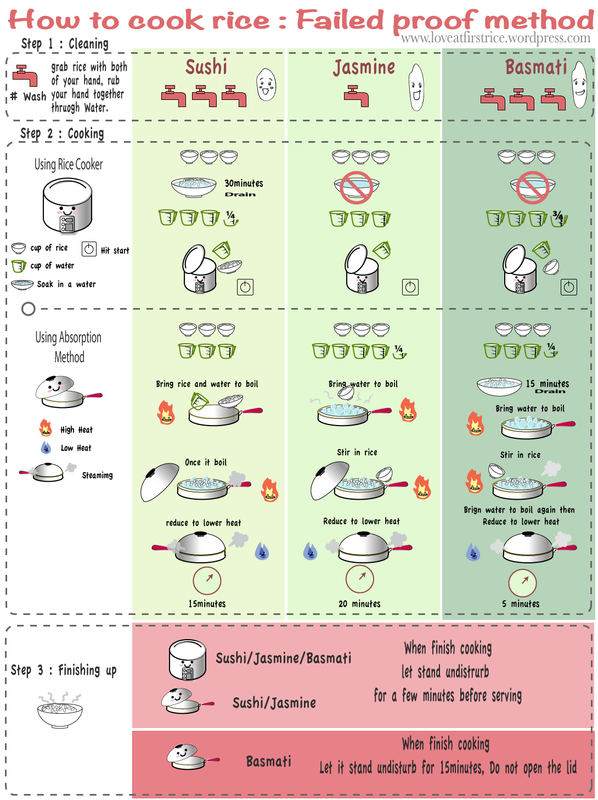 That's why this Rice Cooking infographic from the Love at First Rice blog is so useful. It has all the steps required to make sushi, jasmine and basmati rice perfectly. Just follow the simple steps and you'll never get it wrong again.